St. Louis — Ameren Missouri, a subsidiary of Ameren Corporation, announced that it entered into an agreement to acquire, after construction, a 400-megawatt wind farm in northeast Missouri, the largest ever in the state. The facility would be built by an affiliate of Terra-Gen, LLC in Adair and Schuyler counties. Groundbreaking is expected in summer 2019. The wind farm will consist of 175 American-made wind turbines that will stand more than 450 feet above the ground. These types of turbines will be among the most technologically advanced in the state. Energy produced by the wind farm will power an estimated 120,000 homes by 2020. The wind farm is enabled by the expanded transmission capacity made possible by Ameren Transmission Company of Illinois’ Mark Twain Transmission Project, approved in January by the Missouri Public Service Commission (PSC). The Mark Twain Transmission Project has a targeted in-service date of December 2019. The transaction is subject to a number of conditions, including timely approval from the PSC and obtaining a timely and acceptable Midcontinent Independent System Operator transmission interconnection agreement. Today’s announcement is the first major step in implementing Ameren Missouri’s Integrated Resource Plan, a 20-year outlook that supports cleaner energy in the state. The plan is consistent with Missouri’s Renewable Energy Standard passed by voters in 2008. 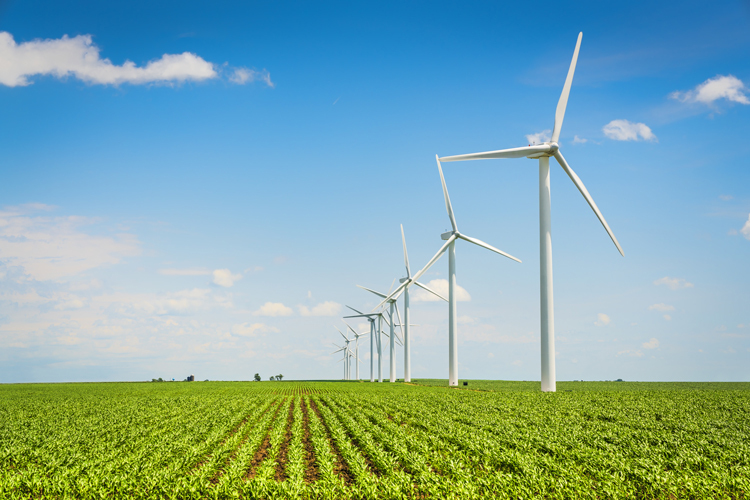 Planned investments include approximately $1 billion to build wind generation projects in Missouri and possibly neighboring states, resulting in at least 700 megawatts of new wind-generated energy by 2020. This wind farm would meet more than half of that planned capacity. Ameren Missouri also expects to add 100 megawatts of solar-generated energy over the next 10 years, with 50 megawatts targeted to come online by 2025.